The new version has a more modern look and better spam protection amongst other things. In terms of code it is a big upgrade and I have been playing with the new version on my PC trying to see if we can get some of our most important modifications working on it, and the math tag and hide tag can be made to work, and there is a new private messaging mod that seems to work too. But any other mods are hard to do. The upgrade process will involve me taking a current copy of the forum, doing several upgrade steps (over a few hours) and then uploading them to replace the existing forum. During that time the forum will be "down" or working strangely. And large upgrades seldom go smoothly ... who knows what problems we may face. I do have a test version running nicely on my PC, but that is quite different from running it on a server. First of all, thanks for considering my point of view. What other mods do you need? If it is something about latex, I will offer to help you with it. 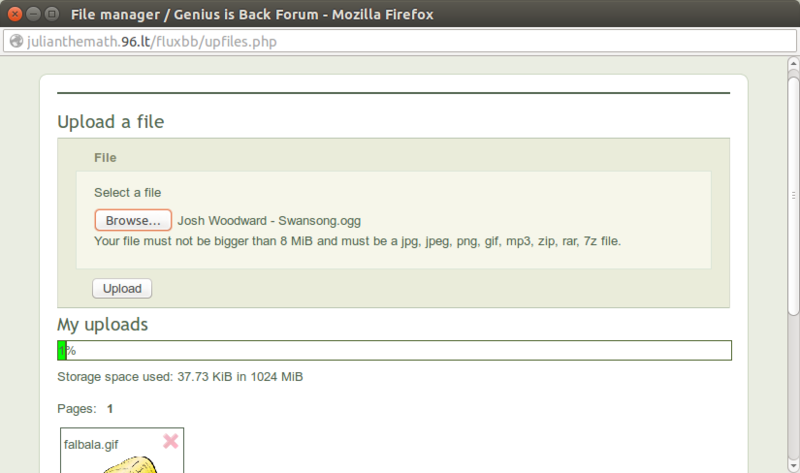 Here is an workaround: move this forum to http://mathisfunforum.com/archive/ and put the new forum at the root. I have been following the PM's of your progress daily. You did good. Upgrading will make some problems. Some features that we now enjoy may be temporarily unavaliable. That is okay, we will have some new features too. I think it will all be fine, it will just take some time. I can wait, lets upgrade! Good luck with the upgrade! I hope it goes well and the new forum is even better. Some features that we now enjoy may be temporarily unavaliable. > What features for example? Don't you think that wouldn't be a very good idea? MIF has mentioned one and there may be more but until the new version is in place he will not know for sure. Why get worried about something that might not happen? Image upload won't work, but linking to hosted images should be OK. There may be more, but 90%+ of functionality should be preserved, plus the benefits of latest version. I gave him that award, might be a new award plugin for download. The awards are not necessary. I think that plugin is not supported on 1.5.6 but I can try and see if it works..
Good luck for the upgraded version! 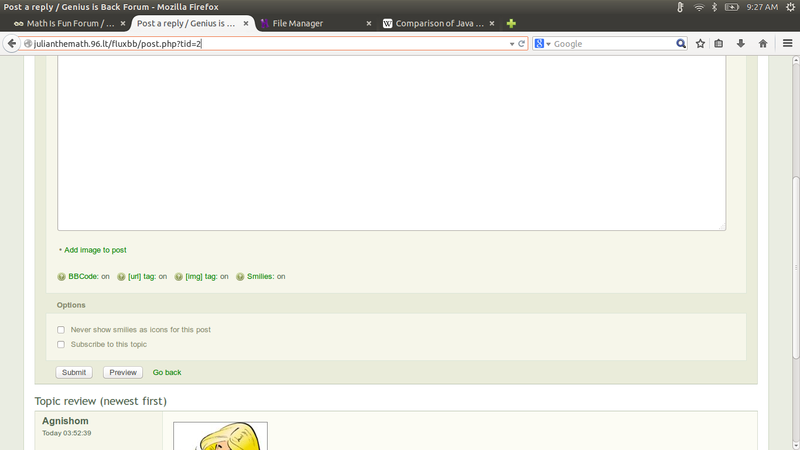 That plugin works absolutely fine but it is not the way the image upload is here. The image is uploaded to postimg.org and then hotlinked back in the message instantly. By the way, why are you not using phpBB? I'll test this and tell you if this is working fine. That is a nice one. Hope MIF likes it. That's absolutely fine. I'll keep my fingers crossed. Suppose the old Image does not work in the new forum or is replaced by a different mod. In that case, will we be loosing all the existing uploaded images forumwide? I think we might. I can take a backup of them though. Bob and I will take much of that damage because we upload images for math. You are brilliant guys, you can regenerate them. It will hurt the rest of the humanity who are not so smart. It will mean extra work, but eventually it will be done.